Design: Curved mouthpiece with low-ported barrel. 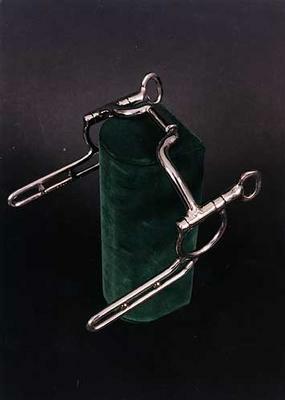 The MB 43LP offers a "comfort zone" when the horse is relaxed at the poll. With independent side movement, the MB 43LP works well for lifting a shoulder, bending, collection and stopping. It is a good choice for spoiled horses and those needing encouragement to relax at the poll or life a shoulder. Works well in the cart on horses that turn their head to one side, ones that are just starting to get hard to hold, or may be putting their tongue over the bit. Also available without bushing.